Our correspondent Phoebe Taylor (follow her on Twitter) is building our Singapore directory and reporting from there on all things craft beer. Check back for new updates and be sure to check out our News & Events page for Singapore, too. The city’s first gipsy brewery, Brewlander & Co. is the brainchild of John Wei. It doesn’t have a taproom, but you can find its beers at many outlets around the city, including Good Luck Beerhouse, Smith Street Taps, Thirsty Craft Beer Shop, The 1925 and many others. The name Crossroads aims to reflect Singapore’s unique position as a historic and modern crossroads of culture; their beer is brewed with Asian fusion in mind. Keep an eye on their Facebook page to find out where you can drink it. Singapore’s only microbrewery specialising in Czech-style beer. They have a bar bites menu, also inspired by Czech cuisine—sausages, chicken wings, and (strangely) popcorn. Whilst the trend for unrefined brews has meant that an increasing number of beers are now free from animal products, herbivores can rest easy in the knowledge that all of Hospoda’s beer is vegetarian- and vegan-friendly. coffee too!) You can find their beers in many of the bars around town. Open 8am-10pm Mon-Fri, 10am-5pm Sat-Sun. Rye and Pint are an independent brewery run by a team of 3 brothers who love beer. Although they don’t (as yet) have a taphouse, their beers can be found in Growlers Craft Beer Bistro, Mikkeller Bar Singapore, and Good Luck Beerhouse. Concentrating on quality rather than quantity, currently (November 2017) they produce 3 beers; Punchin Rye, Sunday’s Brew, and Trippin Wheat. A little off the beaten track, the 1925 is well worth a visit; it’s a gem of a microbrewery, and also a restaurant that takes its beer very seriously. So seriously, in fact, that the menu is crafted around the beers on tap—from beer reduction glazes for grilled meats, to handmade pasta containing the same grains that they use for brewing, it’s inventive and interesting. In November 2017 they opened a second outlet at 261 Joo Chiat Road. Open 10am-12am Mon-Sat, 10am-10pm Sun. Bras Basah; 26 Beach Road, B1-16, Singapore 189768. The world’s first beer infusion bar; it’s worth a visit just to see all 16 beer infusion towers lined up on the bar. Expect the weird and wonderful. Open 4pm-1am Mon-Thurs, 4pm-2am Fri-Sat. A little removed from Clarke Quay’s main drag, Alchemy is one of Singapore’s oldest craft beer bars (it’s 7 and a half years old). It serves a select group of solid craft beers from international breweries; think Lost Coast, Delerium Tremens, or Pasteur Street. Almost always on tap at the time of writing is the very excellent Gosnells Citra Sea Mead, a sharp and salty brew laced with sweet honey notes. Open 4:30pm-1am Mon-Fri, closed Sat-Sun. Opened in March 2016, this bottle shop sells wine, beer and spirits, including craft brews by local breweries such as Brewlander & Co. Take your drinks away, or imbibe from tables in front of the shop. Open 5:30-11:30pm Mon-Fri, 12-11:30pm Sat, 3-10pm Sun. Hawker-style craft beer, with 12 taps and a great selection of brews. Expect beers from all over the world, in an unpretentious, down-to earth environment. Keep an eye on their social media, as they post tap lists regularly. Open 5:30-10:30pm Mon-Fri, 12-10:30pm Sat, 12-8:30pm Sun. Housed in an old Chinese pharmacy, Druggists is a hip mix of the old (it retains the original floor tiles) and new (its sleek, minimalist taps and great playlists). It has 23 taps of craft goodness pouring—including many that aren’t often found in Singapore, such as Yorkshire’s Magic Rock. It regularly hosts tap takeovers and events; keep an eye on its Facebook page for details. Druggists is also a restaurant, dishing up hearty Asian and fusion food. Open 4pm-12am Mon-Thurs, 4pm-2am Fri-Sat, 2-10pm Sun. If you’re new to Singapore, you might not have realised quite how much this city loves food. Singaporeans are all about their food, so it makes sense that this is the city where craft beer restaurants flourish. Opened in May 2017, Five Marbles has 12 taps of rotating craft brews, but the real stars of the show are the outrageously decadent beer floats—try the Calamity Affogato, vanilla ice cream floated on dark coffee ale from Innocence Brewing. We’re pretty sure this counts as lining your stomach. Freehouse is a hip little joint a stone’s throw from Chinatown, with 16 taps and a wide selection of bottles. Expect local and international brews and good vibes, as well as Asian fusion tapas to fill your belly with. The Good Beer Company has a small (8 taps) but well-formed selection of beer on draught. However, the real stars of the show are their bottles and cans, which number over 200. All are served chilled, and can also be sold to take away. Staff are knowledgeable and more than happy to recommend a beer (or two, or three). Open 4-11pm Sun-Thurs, 4-11:45pm Fri-Sat. On the achingly hip Haji Lane, Good Luck Beerhouse peddles achingly good beers. It has a strong local flavour; also on the menu is freshly-cooked dim sum, and 6 of its taps are reserved for Singapore brewers. The bar itself is dimly-lit and cosy, with a relaxed, welcoming atmosphere. Staff are knowledgeable and more than happy to let you sample beers. Opened in October 2016, it’s already one of Singapore’s craft beer gems. Open 4pm-12am Mon-Fri, 12pm-12am Fri-Sun. A bottle shop with hundreds of craft beers and ciders. They have two locations, one at Pasar Bella and one at Pasir Panjang. With Hospoda beers always on draught, and a hearty (if meat-heavy) food menu, this is a chilled-out, friendly neighbourhood bar. Perhaps unsurprisingly, you can also buy growlers here. Open 11:30am-11pm Sun-Thurs, 11:30am-11:45pm Fri-Sat. Hustle Co. is also a café, and there’s some serious café vibes going on—it’s chilled out, bright, airy and arty. A new kid on the block (opened in July 2017), its menu is hearty and its beers are great. They’ve most recently had brews such as Pirate Life and Garage Project feature on their 12 taps. Open 9am-12am Tues-Sat, 9am-5pm Sun. In the heart of Orchard Road, JiBiru specializes in imported Japanese beers. Expect brews such as Sapporo and Hitachino Nest, as well as a selection of international craft beers. They have a weekday lunch deal on all beer (12-3pm), and regularly rotate their 6 taps. Open 12pm-12am Sun-Thurs, and 12pm-1am Fri-Sat. Marina Bay; #33-01, 8 Marina Boulevard, Marina Bay Financial Centre Tower 1, Singapore 018981. LeVeL 33’s claim to fame is that it’s the highest craft brewery in the world. Head here for beer brewed on-site and great views of Marina Bay, as well as a full restaurant menu. Open 11:30am-12am Mon-Thurs, 11:30am-2am Sat, 12pm-12am Sun. Made of repurposed shipping containers, the Singapore outlet of legendary gypsy brewing company Mikkeller fits an epic 20 taps into its small bar. Expect excellent beers from Singapore, the world, and (obviously) Mikkeller. It has an airy beer garden which is lively in the evenings, and hosts a regular running club on Saturday evenings. Open 4pm-12am Tues-Sun, closed on Mondays. Nickeldime Drafthouse is part of Singapore food and beverage company Hidden Door Concepts. It has a wide range of styles available (their 19 taps are graced by everything from imperial stouts to saisons), and serves beer-infused pizza. Open 11am-11pm Sun-Thur, 10am-11pm Fri-Sat. Sixteen Ounces was the first craft beer bar to open in the West of the city. Its menu is set to expand, but at present includes 8 beers on tap and over 40 bottled beers; whilst the tap selection might not be enormous, it’s well-curated and always includes some interesting choices. Open 5pm-12am Tues-Fri, 3pm-12am Sat, 3-11pm Sun, closed Mondays. Uniquely Singaporean, this is craft beer hawker-style; it’s a must-visit for any beer-loving visitors to the city. Expect around 10 taps of great craft beer, a lively atmosphere, and bartenders and customers who really know their stuff. There’s always at least one (normally more!) really interesting beer here; think Warpigs Licorice IPA, Fourpure Lost in Tea Saison, or Pasteur Street Dragonfruit Gose. For the less adventurous, always on tap is Fourpure’s devilishly easy-drinking Indy Lager. Open 6:30-10:30pm Tues-Fri, 2-10:30pm Sat, closed Sun-Mon. Takumi might be a small bar, but it certainly packs a punch. It specialises in Japanese craft beer, and there’s always something exciting pouring here. They also do beer- and Japan-related cocktails. Open 3pm-12am Mon-Thurs, 12pm-12am Fri-Sun. TAP has 20 rotating craft beers on draught (on TAP, if you will) from all over the world. Don’t expect anything too weird and wonderful, but do expect some great pale ales and a bottle list which includes Orval. In November 2017 it opened a second bar at Robertsons Quay, which includes a very well-stocked bottle shop curated by Thirsty—some wackier brews can be found here. Both locations also serve food. Opened in September 2017, Temple Cellars is a bottle shop with some excellent craft liquor (including mead) from around the world. There’s a small corkage charge, so you can drink on the premises (or while you shop—we don’t judge). As well as craft beer from around the world, you can find local brews here from Brewlander & Co. and Rye & Pint. With over 100 beers, this bottle shop ensures that you’re unlikely to stay thirsty for long. They also offer a delivery service. The location at Robertson Quay is part of TAP bar. This is the place in Singapore for homebrewers to share their knowledge with one another. The club has been active since 2004, when it was known as the Singapore HomeBrew Club, and now numbers just over 200 active members. They run a wide range of events, brewery tours and classes across the city, and members span from hobbyists dabbling in homebrews to industry workers. 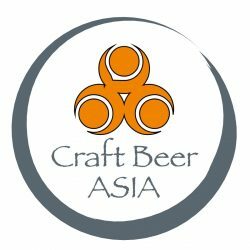 The leading supplier of craft beers in Singapore, their portfolio includes weird and wonderful beers from all over the world. Eastern Craft imports beers from Japan, the UK, Italy, Sweden, Bali and Belgium to Singapore. As well as supplying trade, they also sell beer online by the carton. The Mad Tapper imports beer and ciders from Australia and New Zealand to Singapore. Their portfolio includes Garage Project and Yeastie Boys. TSA stands for “Tastes So Awesome”, and they supply imported craft beer, wines, artisanal spirits and cider to Singapore food and beverage retailers. Their portfolio for beer includes Brewdog and Evil Twin.